Family farms—those that operate as “a sole proprietorship, partnership, or family corporations” according to the USDA—make up nearly 96 percent of the over two million farms in the country. Family farms are much more likely to have two or more generations involved in the day-to-day processes of the farm, and are likely to be passed down to the next generation. This is why estate planning for ag families is so important. Here are some tips to make estate planning as smooth and as beneficial a process as possible. Don’t Wait or Procrastinate. Life can get busy on the farm or ranch, and it can be easy to push estate planning and succession planning to another time; it’s also a delicate topic that can make many in the family uneasy. Many feel that there is ample time to figure out estate and succession planning, but the truth is that many put it off until it’s too late. Without an estate plan, state law will govern the division assets of a family farm and can greatly delay and complicate running the business after an owner’s death. Make Communication a Top Priority. Discussions with family members about estate planning should be done often with all parties being “in the know.” Set expectations and get feedback on how and when the family farm will pass to the next generation. These discussions can sometimes be uncomfortable, but they are a necessary step to ensure everyone is on the same page. Keep Accurate Records. Use and maintain a record-keeping system that is understood by other farm family members. Make sure all important documents are accessible, up-to-date, and in order. Hire an Estate Planning Attorney. The ins and outs of estate law are nuanced and vary from state to state. Just like you take your vehicle to a certified mechanic or trust your surgery to a physician, enlist the help of an experienced estate planning attorney to help you and the family navigate the details of estate planning for the farm. If you are ready to start the estate planning process for the family farm or ranch, call us at (863) 647-5337 to speak with a lawyer specializing in estate planning and more. This column is sponsored by Clark, Campbell, Lancaster & Munson, P.A. and the opinions expressed herein may not reflect those of CFAN or of its advertisers. 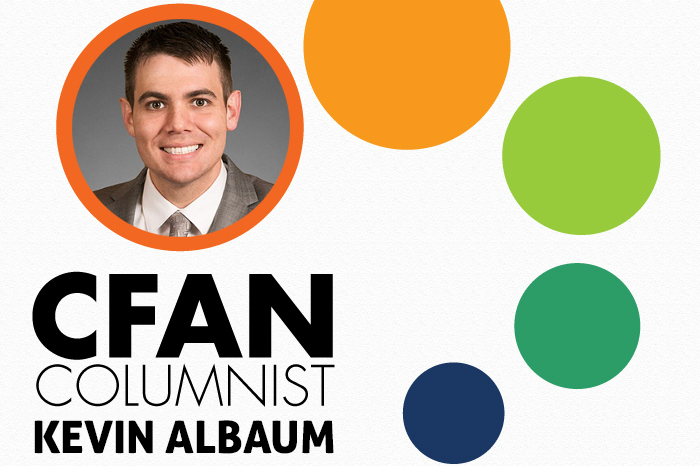 Kevin Albaum was born and raised in Tarpon Springs, Florida. Kevin earned his bachelor’s degree at Florida State University and upon graduation, he enrolled at Stetson University’s College of Law in Gulfport, Florida. In 2015, Kevin moved to Lakeland to join Clark, Campbell, Lancaster, and Munson where he practices in the areas of: Elder Law, Estate Planning, Special Needs Planning, Guardianship, Probate Administration, Trust Administration, and Medicaid Planning. Kevin currently serves as secretary for EMERGE Lakeland and as a board member for the Lakeland Bar Association.